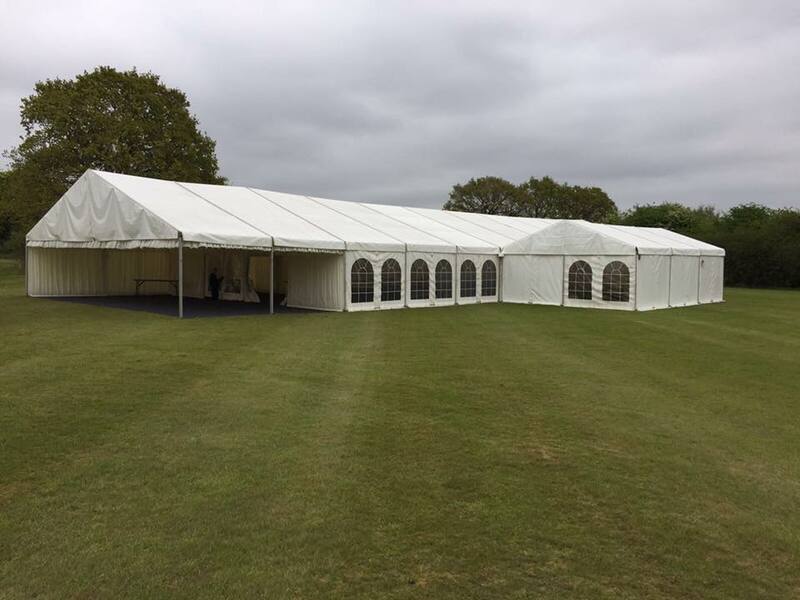 All clear span marquees have an aluminium frame which is sturdy and well built with white PVC covers, they can be erected on any surface so are suited to large corporate events or parties. 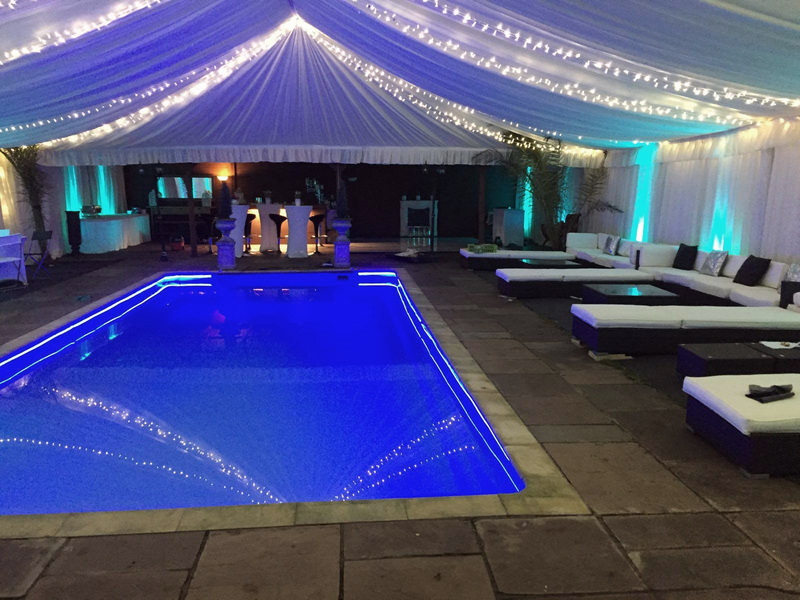 Clear span marquees are modular and so can be joined together creating different shapes - making them very versatile, which makes them suitable if not ideal for weddings. At Castle Marquees we provide wedding marquees that are tailored to suit your needs & requirements. We don&apos;t only supply the marquee but all the other essentials to make your day perfect. Flooring, lighting, furniture, toilets, power & recommended suppliers can all be arranged for you. We all love a party – get creative & paint with light in any colour! Dress and drape the marquee in your style! Windows & walls the way you want; where you want! If you are planning an event, festival or corporate function get in touch. 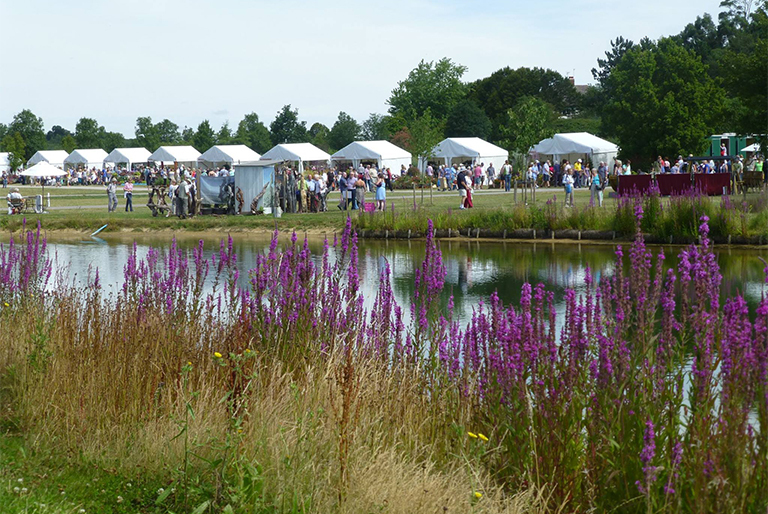 We supply marquees from 3m - 15m systems so can accommodate your requests. Our current clients include Chelmsford City Race Course, The Royal Horticultural Society, Lee Valley, Action for Addiction, Volker Fitzpatrick and many more.